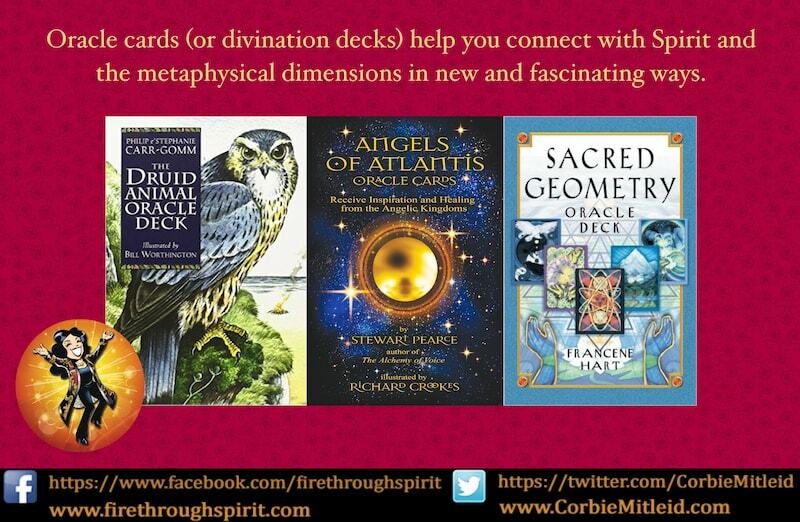 Oracle cards (or divination decks) are sets of cards with pictures and meanings that allow you to reach out to Spirit and the metaphysical dimension to bring information to you on many levels. They are like Tarot decks but without the centuries of rules and procedures attached. They are a wonderful way to start devekloping your intuition. 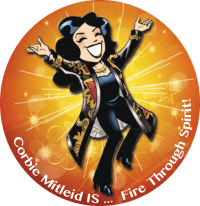 What Decks Does Corbie Use? Oracle Cards are a great way to start doing divination and psychic readings for yourself. Corbie Mitleid shares her collection of favorite decks. Psychic Medium Corbie Mitleid shares one of her favorite Oracle Card spreads for dealing with a Midlife Crisis in a spiritual, proactive way. 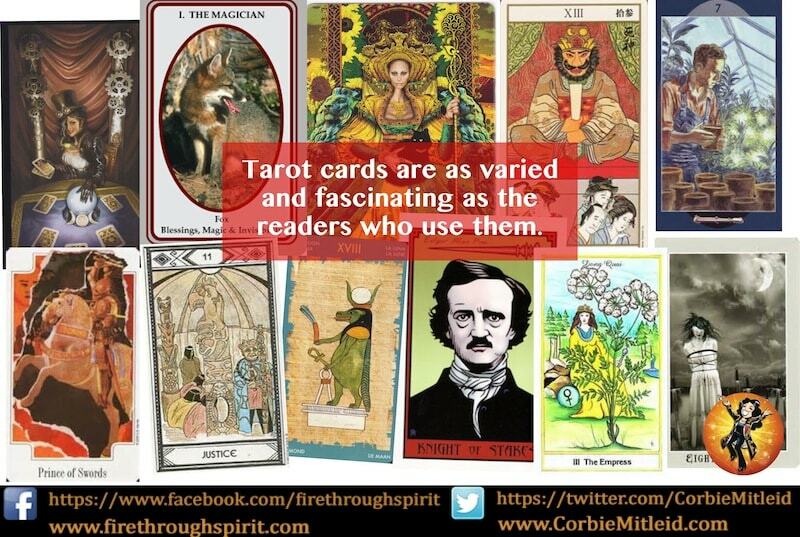 Oracle and Tarot deck divination is a great way to find your intuitive voice. Psychic Corbie Mitleid shows how to design your own oracle card spreads.